Cover by George Perez. 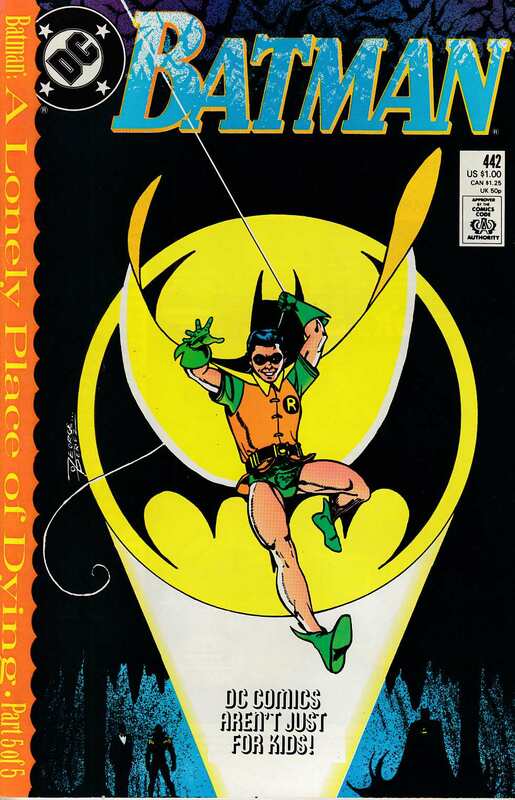 "A Lonely Place of Dying Chapter Five: Rebirth," script by George Perez (Co-Plot) and Marv Wolfman, pencils by Jim Aparo, inks by Mike DeCarlo. With Batman and Nightwing trapped by Two-Face, there's only one person left to save the day; Prepare for the debut of the newest Robin, Tim Drake! Columns on "Bat Questions Answered," "Continuity Corner," and "From the Den," the latter by Denny O'Neil.